When it comes to selecting a birthstone for anyone born under the sign of Aquarius, the recipient’s exact date of birth should be taken into consideration. 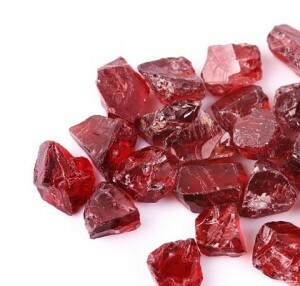 Main Aquarius birthstones are: Rock Crystal, Moonstone and Garnet. The first decade of Aquarius (January 21 – February 1) gives the world modest and quiet romantic personalities often prone to melancholy and decadent mood. The planet Venus efficiently patronizes them, so they could be successful in love affairs. Representatives of the sign need gems providing their owners with courage and energy. These are pearls, obsidian, jade, jasper, aventurine, serpentine and amethyst. Mercury takes care of those born within the period of February 2 to 11. They normally gain recognition and respect due to their sense of humor, true wisdom and sharp mind. Gemstones suiting them are marvelous and extremely attractive. We’re talking about amber, chrysoprase, amethyst and lazurite. The Moon patronizes people born in the period of February 12 to 20. They appreciate the truth and easily forgive anyone who dares to cheat them. Unfortunately, their restraint and sensitivity hamper taking high peaks. However, this can be fixed by means of alexandrite, zircon, garnet, chrysoprase, tourmaline, aquamarine and sapphire. 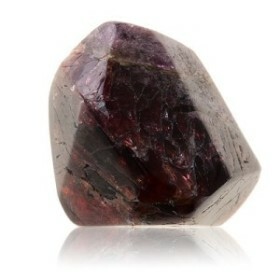 Red garnet is a perfect energetic mascot for Aquarius. It ensures productivity and physical strength. It’s also good for friendly relations. With red garnet representatives of the sign will improve their personal life and establish useful contacts. When worn in a ring the gem restores energy and relives stress. Aquarius is a winter zodiac sign and it requires quartz of light shades. 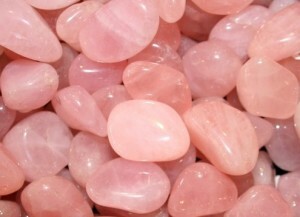 Rose quartz will serve an effective love talisman for modest Aquarius. Creative personalities will definitely benefit from quartz mascots. It greatly enhances their abilities, discloses their creative potential and preserves inspiration. Aquarius is prone to depression and gloomy mood. The gem will help the wearer to believe in his or her potential. Thus, you’ll gather your mental strength and overcome all troubles. 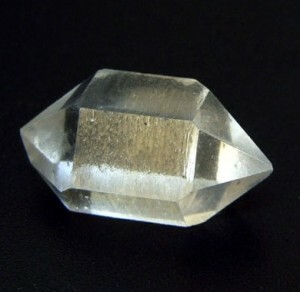 Quartz will also keep you out of accidents and injuries. 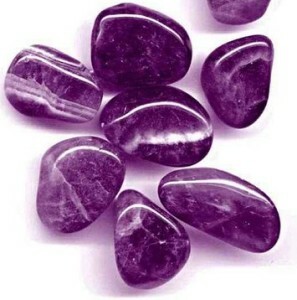 Precious gems for Aquarius should feed his or her weak energy. One of these stones is Amethyst. A talisman with this gem will strengthen positive traits of the owner with dual nature and as a result, his or her dark half won’t prevail. The mascot diverts family quarrels between spouses and protects them from malevolence and envy. Furthermore, it greatly assists in overcoming obstacles, fighting disappointments and finding enough strength for new endeavors. Sapphire will bring happiness to Aquarius. The gem has an extremely positive impact on the owner’s health as well as functions of his or her internal organs. It’s also good for metabolism and sleep. So, it’s hard to underestimate the whole importance of the gem, especially considering the owner’s mediocre attitude to his health. Sapphire develops intuition and makes Aquarius wiser and more restrained. Get this stuff if you belong to this sign and want reliable protection from envy and slander. With sapphire you’ll gain courage, determination and fortitude. Women born under the sign of Aquarius are used to dreaming a lot. Staying alone for a long time can’t be to their liking. Such women normally idealize their men, but easily part with them, once they learn about their downsides. 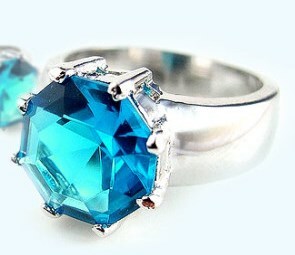 Jewelry with aquamarine will help Aquarius women to make the right choice in their personal life. The gem will deprive the owner of unwanted illusions and keep out of errors. With the aquamarine mascot showing emotions to anyone, including family members will be much easier. Aquarius women appreciate freedom, but tend to limit other people’s desires. The mascot with amethyst will help the owner to understand people around her, join a team and maintain favorable climate in the family. 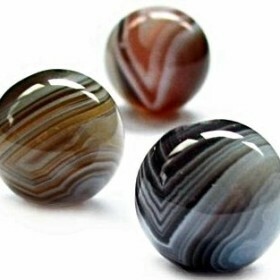 The gem calms down, organizes thoughts, thus making rational decisions possible. The mascot gives strength and contributes to willpower. Women dreaming of babies should wear jewelry with amethyst. Married Aquarius women should have a pendant with a pearl or necklace with it in their jewelry box. It doesn’t matter which metal the gem is inserted in, as its natural origin is the major concern in this case. Pearls strengthen relationships of any couple, helps to avoid conflicts and preserve family values. Aquarius is an integrated personality with a strong sense of self-esteem. They need pearls to tame their temper and be less haughty. Women wearing pearls become more timid and gentle. Men born under the sign of Aquarius usually become innovators, inventors and revolutionaries. Representatives of the sign have a constant need to change, improve, break and build something new. Sapphire will be a good mascot for them. That’s an optimum gem for optimists, who seek knowledge and new experiences. 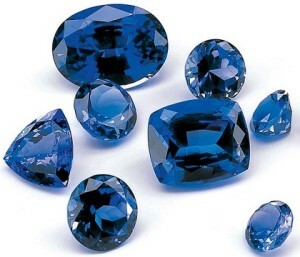 The mascot with sapphire will help to bring the owner’s undertaking to the logical conclusion. With this jewelry, it won’t be a problem to defeat any rival. Aquarius men naturally require women’s attention. 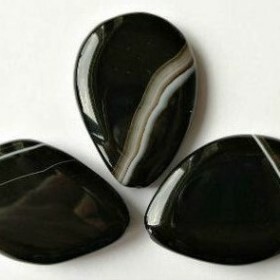 Black agate will bring them luck in love affairs. This semi-precious stone turns dull Aquarius into romantic womanizer. The color of the gem depends on the owner’s specific objective. 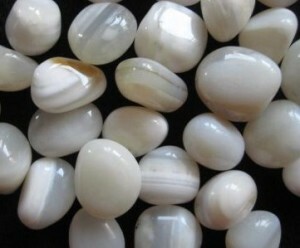 Yellow and white agate will soften short temper. As a result, the man becomes kinder and it’s much easier to communicate with him. Gray stones resolve conflicts, help to make friends and avoid quarrels. The agate mascot unveils secrets and deceptions – all schemers will be exposed. Men born under the sign of Aquarius are often unable to change themselves and influence their negative character traits. Fortunately, this can be fixed with the help of a jade mascot. This may be a figure or writing utensils. Jade simply raises the owner to a new spiritual level, so Aquarius gradually succeeds in developing his personality. 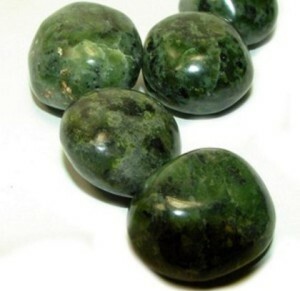 The gem brings financial stability and confidence in the future. If you don’t know what stones contradict energy of the sign, your gift will most likely harm the recipient and diminish his power. Aquarius should stay away from gems with strong fire energy. Representatives of the sign shouldn’t wear so called gems of Leo. These are onyx, beryl, zircon, opal, carnelian, topaz and golden quartz. Married Aquarius women shouldn’t wear turquoise because it provokes rash acts, violates emotional stability and has rather a negative impact on family relationships. The gem can turn a respectable lady into a frivolous flirt. Diamond never gets along with this sign of the zodiac because the gem makes stubborn and fanatical. Jewelry with diamonds presented to a woman born under this sign will strengthen the wall she’s building between herself and others. Aquarius men wearing diamonds will never tolerate others’ point of view.